The dances and music of Cyprus are beautiful and as well as the traditional elegant and country dancing, the more vigorous Zorba the Greek is well known for being an exciting and fast paced performance. Marvel at the famous "glass" dance, clap your hands and stamp your feet! 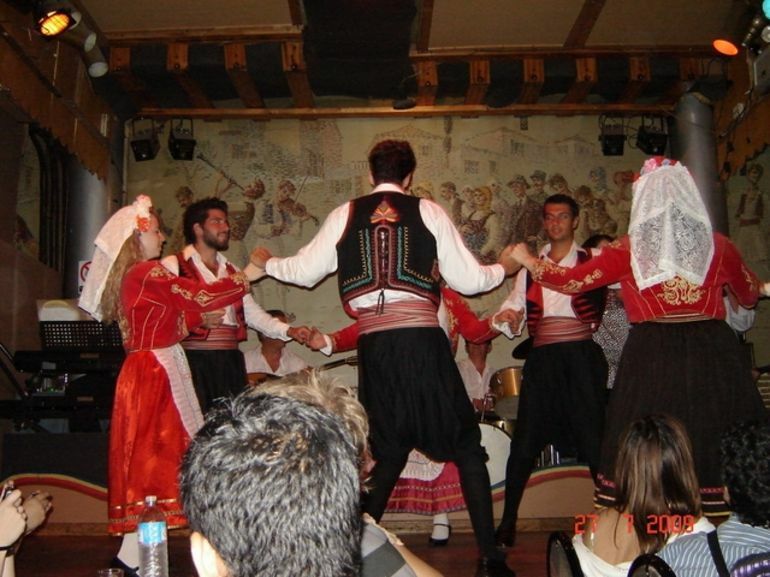 The professionally trained dancers put on an exceptional display of authentic Cyprus dances in traditional costumes. 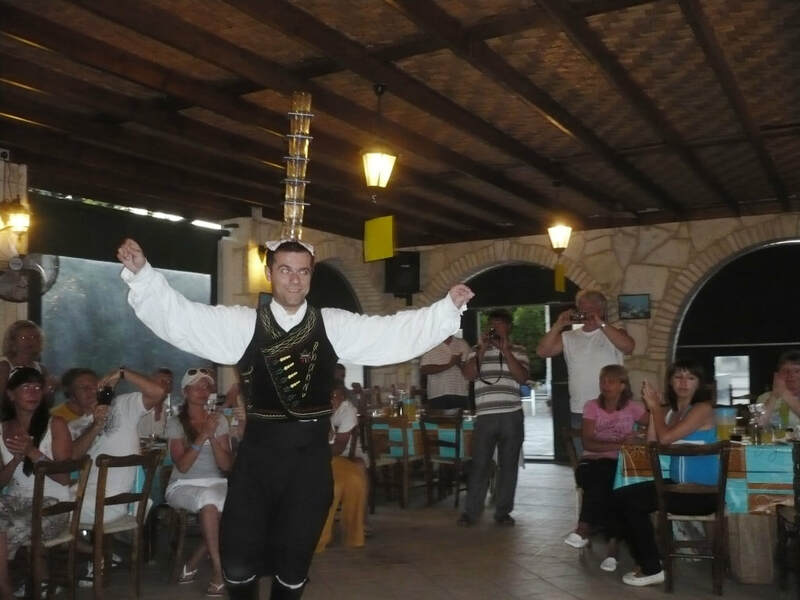 During the show you will be served a traditional Cypriot meal and the beer and wine is free flowing! After the show there is time to get up and join the performers on stage and dance to the traditional bouzouki and more modern favourites. This night out is family friendly and suitable for all ages. Join in and get involved or sit back and watch the dancers. Includes: Beer, Wine, Dinner, return transport from Ayia Napa / Protaras. Professional Cypriot show with authentic dancing and music. Show starts at 7pm. Pick ups in Ayia Napa / Protaras starts from 6pm. Your exact pick up time and location will be given on confirmation. Prices: Adult - €49, Child under 12 - €25, Infant under 2 - Free.